Newly-monikered BlackBerry spied well ahead of release. The much-vaunted BlackBerry Style 9760, previously known as the BlackBerry Oxford, has been spotted doing the rounds in a string of tutorial videos for RIM's new OS6 operating system. 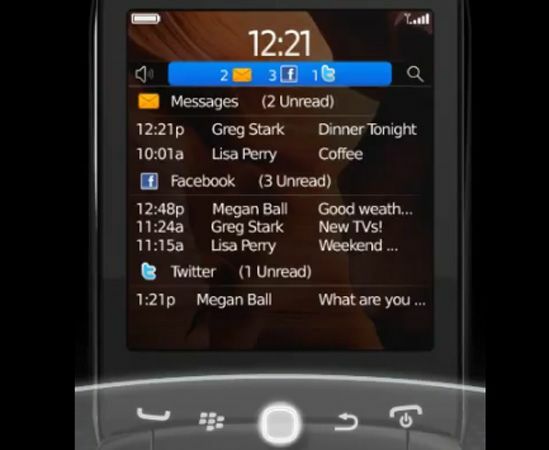 In three separate clips, the Style is seen zooming in using its QWERTY keyboard, picking up messages via the clamshell's external display, as well as a quick look at the homescreen's UI. You can take a peek for yourself down below. The BlackBerry Style has yet to be dated, but this QWERTY clamshell has already been leaked across the web. It's set to become the second RIM email workhorse to rock OS6, after the BlackBerry Torch. For more gadget and phone news, stay tuned to our Facebook and Twitter pages.